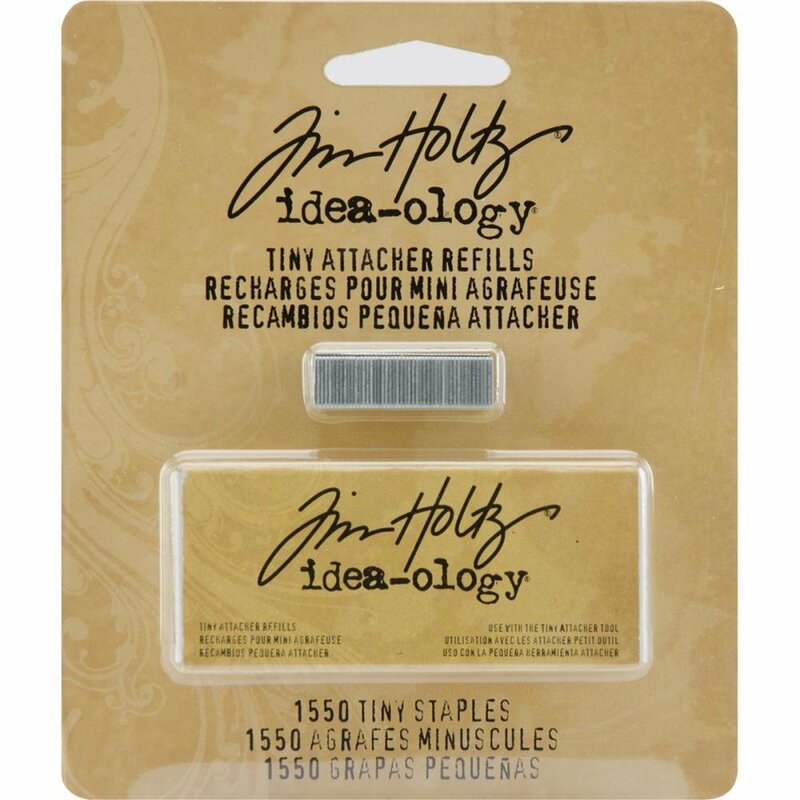 Tim Holts Idea-Ology Tiny Attacher refills. These tiny staples are for use with Tim Holtz's Tiny Attacher only (attacher not included). This package contains 1550 1/8x1/4in silver staples.